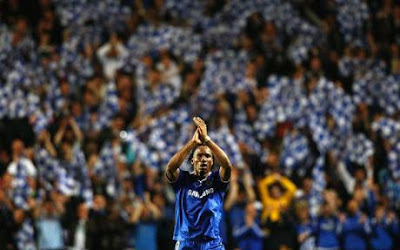 "WHEN my son Shaun played for Chelsea, I would go to Stamford Bridge regularly. After a while, I stopped. The amount of moaning and complaining coming from certain sections of the stands was unbelievable. I'd never heard anything like it. In the end, it got to the point when I'd just had enough of it. My seat was near the players who were not involved. Just in front of us, there was one bloke who, win or lose, did not stop complaining. He was never happy, even with a convincing home win. Since the summer of 2004, Chelsea have played 160 matches at home and lost just three times - against Barcelona, Liverpool and Arsenal. Yet, despite this astonishing record, it does not surprise me that Chelsea's players were booed off the pitch following their 3-3 draw with Everton on Saturday. Those fans who jeered are an absolute disgrace. They might have plenty of money but, in football terms, they have no class whatsoever. They have either forgotten where their club has come from or they have no idea about Chelsea's problems down the years. I have got mates who support Chelsea and they are disgusted and embarrassed by the New Age fans who have crawled out of the woodwork to support this now successful club. Yet they have absolutely no sense of perspective and, like the bloke who used to sit near me, they expect the team to win every week. Many of their fans saunter to the hospitality areas in their expensive suits and fancy shoes, drink fine champagne and probably think they are too good for prawn sandwiches let alone hot dogs. A large number of people hate Chelsea because of the way they have bought their success and, I must admit, some of the fans are not helping the club's reputation. People sing 'Where were you when you were s**t?' - and never before has a chant been more accurate. Most Chelsea fans then argue that they have always supported the club through thick and thin but, historically, they have not been a big club. I once went to Stamford Bridge with Mark Bright in the early 1990s to watch our mate Robbie Earle play for Wimbledon. The crowd was tiny. For a Premier League game against Coventry in May 1994, the attendance at Stamford Bridge was less than 9,000. Yet all the fans turned out to pack Wembley 10 days later for the FA Cup final against Manchester United. Chelsea are not on the best of runs by their super-high standards and the draw on Saturday was hardly the greatest of results. But they didn't lose. Petr Cech did not have a great match but he has done so well for them and does not deserve any of the criticism directed his way. 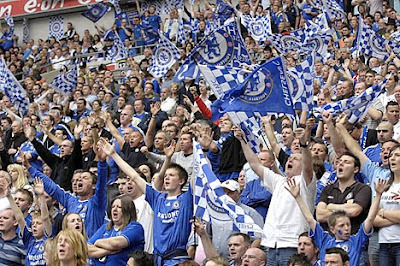 Those Chelsea fans should be getting behind their team, not just whinging. I understand that they pay good money, but surely they must be intelligent enough to realise that constant moaning does not benefit anybody"
So let me just have a look at his "point's of view" about us Chelsea fans. First of all he mentions a bloke who used to sit in front of him who would always be complaining. Now I can assure you this is NOT just Chelsea fans but happens at every football ground around the country and in all walks of life. Some people are never happy and you will always get one person, no matter what the situation who is like that! 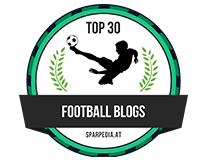 He goes onto mention that we have only lost 3 times out of 160 matches since 2004 in all competitions which is an astonishing record. He goes onto say that some of the fans were a disgrace for booing the team at the final whistle on Saturday. Now, I was there, I have mentioned in my match report about the final goal and the sloppy defending that cost us. Fans booed because of the frustration at letting a lead and three points slip. People are making a really big deal out of it and so they should. So us fans that go to games when we are frustrated and disappointed are supposed to sit in our sits and say nothing? Not show any emotion at all?. We see John Terry doing his nut at Villa on the pitch and its plain for all to see how frustrated he is. We see Didier Drogba and the Barcelona at home aftermath and again, frustration. Some fans decided to boo purely because they were annoyed as much as the players were, that we let the lead slip from a stupid mistake. I for one wasn't one of those who booed the team, but I can understand those that did. That's how they chose to vent their anger and frustration so fair play. Wrighty also goes onto mention that we have no class and we forget where the club has come from and has mates who are embarrassed by the "new age" fans who have crawled out of the woodwork. Well, any true blue Chelsea fan and not one of these new-age glory hunters will tell you we know exactly where we have come from. 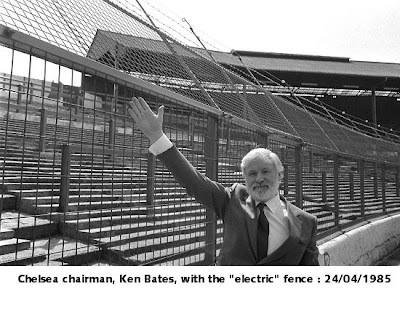 We remember the days of 6-8000 fans for home games in the old Second Division watching on the benches or standing up at the right-wall of the Shed and then behind Batsey's electric fences. People older than me will remember the swinging sixties and seventies at the Bridge. You see Wrighty, thats why we celebrate and give it the big one when we win things or when we have been successful and when we are again. Because, as true fans of Chelsea Football club we know just how quickly that can change. 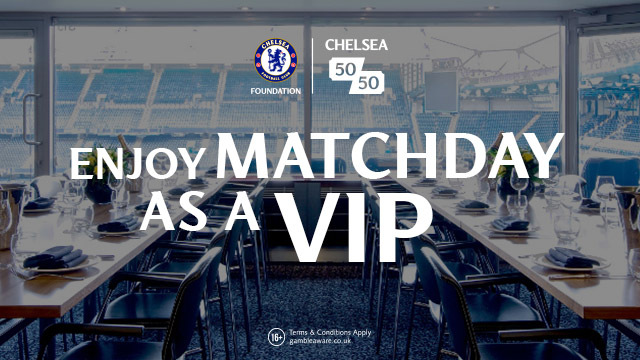 When you become successful and are on a global stage you will have new fans want to come to games, tourists look to come and experience a Chelsea game while they are in London and when the club puts tickets on general sale you can't control that. I am sure that at the Arsenal they have more than their fair share of new-age fans at games and the same can be said at Man United! Its part and parcel of being a successful club. He also goes on about how "many fans saunter to games to the hospitality area's" again, this is common place around every single ground in the Premiership. But again, he uses Chelsea fans as his target. Wrighty, like around every single club come and join us in the bars around the ground and come and see the real fans, the fans that live and breathe Chelsea then you will see where the real fanbase lies, where fans who will never forget where we are from will tell you stories from way back when..
Wrighty maybe you should check out Mark Worrall's books he has written about Chelsea (check out the links down the right hand side) and you will see that we never forget. All I am saying as a Chelsea fan is that when you look at our squad, at our team and what we are capable of, its frustrating to see performances against the likes of Villa, Wigan, APOEL and Everton and yes we will get frustrated. But, we have the right like everyone to have an opinion. Some people may or may not like the way other people deal with their anger / frustrations but you have to accept it. If we lost a game at the Bridge and we sat and said nothing or clapped and cheered the side people would wonder why?. Football fans can be fickle and that goes for everyone. But thats the thing, we wouldn't be the same without the game and the game wouldn't be the same without the fans. Winning and losing goes hand in hand but at the end of the day at Chelsea we all want the same thing, we want our Title back!